In addition to this extended edition we also answered the question “Is It Ok To Abort My Child If Prenatal Testing Reveals He May Be Born With Special Needs?” on last week’s episode of RTRQ which I encourage you to check out below. Be sure to download the Real Truth. Real Quick. app for iPhone or Android and check out all of our past episodes. And help us spread the word that all life is valuable by clicking the like, share, and tweet buttons below this post. Thanks! You have done a great job Rick! Thank you! All glory to God. It’s Him who has done the great job…I’ve just tried to be faithful. I thank God for your family. 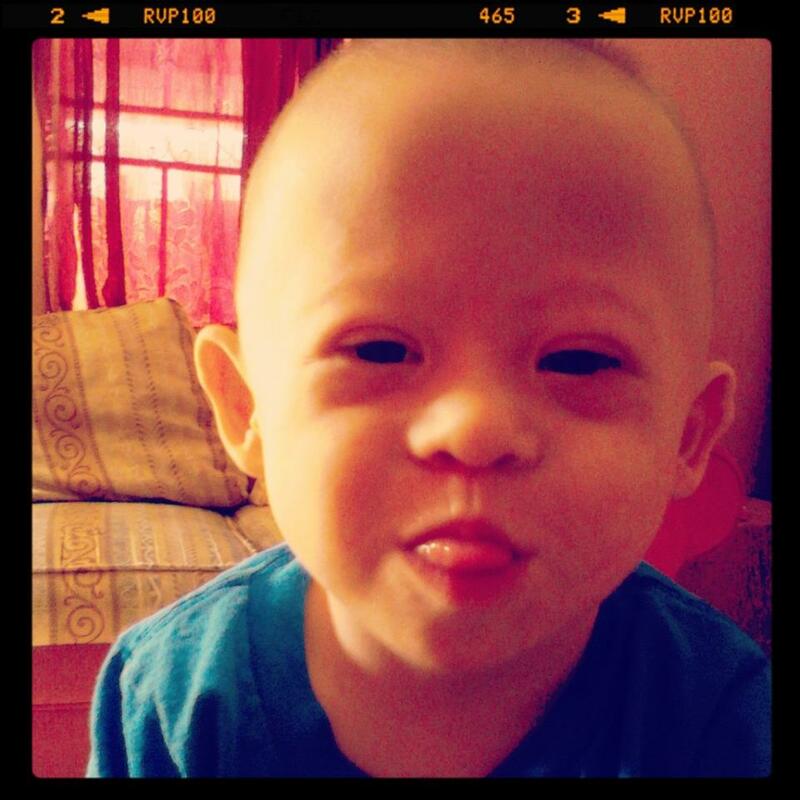 HOLA MI NOMBRE ES LUCKY Y TENGO UN SOBRINITO CON EL SINDROME Y ME GUSTARIA RECIBIR INFORMACION AL RESPECTO ME ENCANTA NOE LA VERDAD ES QUE EMOS SIDO VENDECIDOS POR LA VIDA DE ESTOS NIÑOS A NUESTRAS VIDAS. MI SOBRINO C LLAMA DANIEL Y LE DECIMOS PEDACITO DE CIELO TIENE 2 AÑITOS ES HIJO DE MI HERMANA FLORY Y SU ESPOSO C LLAMA ANGEL ARTURO A QUIENES ADMIRO Y RESPETO MUCHO PUES SON DE MUCHA AYUDA PARA NOSOTRO ELLO SON PASTORES EN UNA IGLECIA AQUI EN GUATEMALA, C.A Y ESTAMOS INTERESADOS EN LA INFORMACION. Happy Day to you all. My Husband oldest daughter and I have had a great day of counting out blessing and realizing how lucky we are to have out Haddey. Thanks for the comment. You guys sound like great parents! I wouldn’t say great parents, we are doing our best. But we do have great kids that are very excepting of our mistakes. Rick Question for you and I hope I do not offend any parent out there. Do you find that people feel the need to remind you or tell you that your child has DS, then they fallow with but they are so beautiful anyways. Or People have the need to ask you if your child has DS. I find people are compelled to tell me that they know someone who know has a DS child and its fallowed with …..and they love that child. Well of course they to. Why wouldn’t they. Am I awful I find myself annoyed with them. Feel why would strangers ask such questions? To be blunt one time I asked. Is your husband circumcised? The lady told me that was none of my business, I told her. Likewise my daughters medical information is none of yours…..I am very Proud of Haddey and I can not help both of my girls are cute and strangers say hi to them, But I feel when the words” what is wrong with her” comes out. Mama Bear comes out and a line has ben crossed. Am I wrong for this? 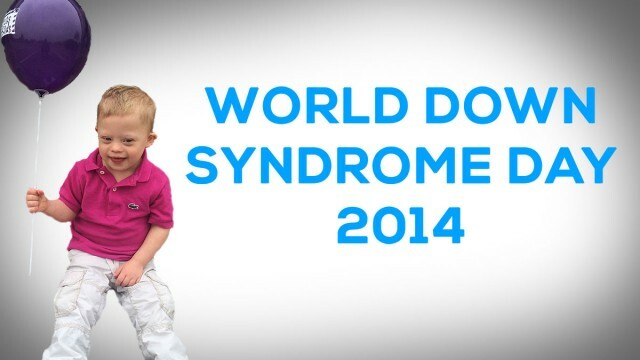 My son, who was born with Down Syndrome last May, is about to celebrate his first birthday. I want to thank you for what you’ve done for my me, my wife, and our entire family. When we received the prenatal diagnosis at Christmas of 2013 we thought that our world was ending. But we came across your blog and we began to discover others as well. And they all did confirm that some of our world was ending, but a more spectacular one was presenting itself to us. In essence, our son was the blessing our lives needed. And our year has been the most joyful we’ve known. I don’t know that we would have made it to that point if not for folks like you sharing your story. Thank you. Words can’t capture our gratitude. I am the proud mother of a almost 3yr old son with DS. I knew prenatal at abt 4 months n could not have lived myself if I had chosen termination based on diagnosis alone. For these special gifts from above do live, love and laugh. While I cannot judge a person that choses to terminate because everyone mentally may not b able to grasp n accept it , I was not that person. I love him more when I found out for he was fighting to live, fighting to b with me( my only child at 40yrs old) n I was fighting f him. If I was unwilling to fight f him in the womb, then how could I expect anyone else to fight for him? I was always told by doctors that I would never be able to get pregnant. After not having my monthly for 15 years you can imagine my surprise, though sad, when I woke with terrible pain an lots of blood in the middle of the night. I went to the hospital where they told me that I was having a miscarriage. This was shocking as I had no symptoms at all and again I had always been told I could not concieve. This was traumatic for me and I did not even want to ask how long they thought this child was along. I was 34 at the time an age where they say having a child with special needs is more possible than if a younger woman were pregnant. One week later I got married and I was still not myself. Then the surprise, the very next month I became pregnant again. I was afraid to breathe for fear I would miscarry again. They stuck me with a huge needle that would give me information on whether my child would have special needs as I was an older mom to be. The results were positive and I went on to carry my miracle child, now 16. I still think of the child that I had miscarried. I soothe myself by telling myself that she or he is in heaven with my mother who always loved kids. I have also thought what would I do if the results of the needle tests showed that I would have a special needs child. I would like to think that I would have the strength to refuse an abortion. I am Christian and I think a life is a life no matter how long a child has been in my stomach. I truly don’t think that I would have an abortion just because my child may have special needs. I see some beautiful children and families on here and these special kids are wonderful. They may be differently abled but they are humans capable of giving and recieving much love. So I think mom has my first baby who I miscarried with her in heaven and I have one child with me on earth. I never got pregnant again though I wanted to. I am blessed to have the son that I have and I have a nephew with special needs who I couldn’t possibly love more. These children are capable of learning and being a part and bringing much love into a family. I love Noah, he is so adorable. There are so many children with different needs but I think love and patience from those who care for them can work wonders. They are deserving as is everyone else. Once again thank you!!! This is MY BEAUTY!!! I teach special ed. I have a love for Noah that can’t be explained. I don’t know you but feel as if we were family. Your Family has touched my heart!